This pre owned Apple iMac 21.5 Inch 3.06GHz Core i3 (Mid 2010) is powered by an Intel I3-540 Clarkdale 32-nm processor with 4MB shared L2 cache and a frontside bus speed of 1033 MHz. Basically identical to its predecessor, with an all aluminum case and a seamless design where there is no border around the glass, the Mid-2010 models featured faster processors, faster memory and a new SDXC card slot. It includes 4 GB of 1333 MHz DDR3 PC3-10600 memory installed as two 2GB SO-DIMM modules, a 500 GB 7200 RPM SATA hard drive, a slot-loading Dual Layer DVD SuperDrive and an ATI Radeon HD 4670 graphics processor with 256 MB of GDDR3 memory. It also features an iSight camera, a built-in microphone and built-in stereo speakers. Connections include one Firewire 800 port, four USB 2.0 ports, an SDXC card slot, minijacks for Headphone/optical digital audio output and Audio line in/optical digital audio input, and a Mini DisplayPort that supports an external display at a maximum resolution of 2560x1600. 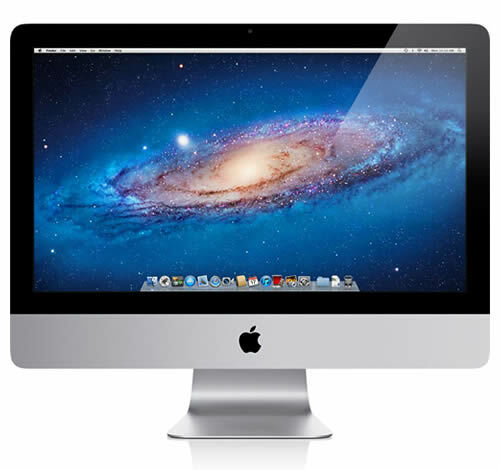 The Mid-2010 iMacs were released on July 27th 2010 and discontinued on May 3rd 2011. They came with Mac OS X 10.6 Snow Leopard installed. This used Apple iMac desktop is in great used condition and full working order. It comes with your choice of OS X installed and a power cord.